A delay in concluding a second review of the Greek support programe threatens to put at risk the restructuring programes of Greek banks, Moody΄s Credit Rating said in its Credit Outlook weekly report released on Monday. Moody΄s said that a continuing delay in concluding a second review was credit negative for Greek banks since it put at risk their restructuring programes, including their basic axis to reduce NPEs by around 40 pct by the end of 2019. It added that a timely implementation of Greek support programe was of crucial importance for economic growth in the period 2017-2019 and to gradually restore depositors΄ and investors΄ confidence in the country and its banking system. The credit rating agency noted that a delay in concluding a second review was focusing on Greece΄s disagreement to legislate new fiscal measures for the period after August 2018, when a third economic adjustment programe ends. This raised the danger of abandoning banks΄ strategic planning, as the crisis-hit economy was possible to be negatively affected by a possible freeze in new investments and a credit crunch in the market, Moody΄s said. Greek banks want the government to conclude a review of a framework on the management of non-performing loans, expecting this tools to help them to resolve this problem, Moody΄s said in its Credit Outlook report, adding that concluding the review was also important in allowing Greek banks to improve their funding profile by raising deposits and reducing dependence from the ELA borrowing mechanism. The credit rating agency said that a long-awaited inclusion of Greek bonds in an ECB΄s QE programe, expected sometime this spring, also depended on concluding the second review. "A reduction of ELA and higher deposits will contribute to lowering banks΄ funding cost and boost their profits,"
Moody΄s said. 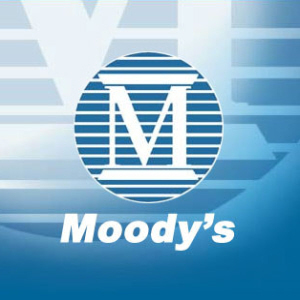 Moody΄s warned that any further delay in the second review had the risk of not allowing banks to implement their restructuring plans and to return to profitability. "Such a scenario could place banks into a more vulnerable position ahead of a new round of stress tests to be conducted by ECB in 2018, significantly raising risks for creditors and depositors," Moody΄s noted.